Want to install a new hard drive? Replace a video card? Not a problem. 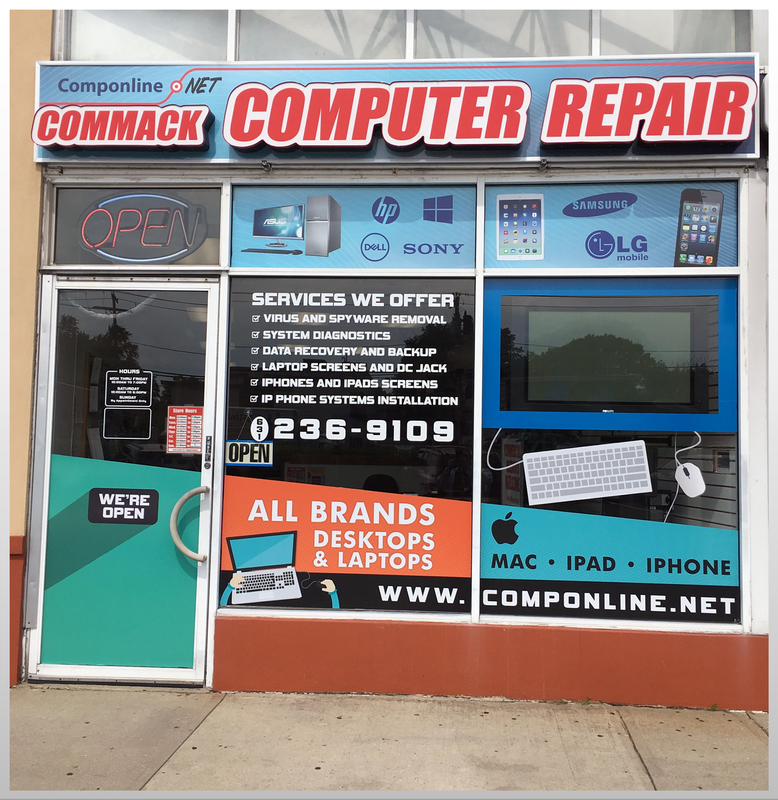 CompOnline the Best Commack Computer Repair Shop in Commack NY can get you the hardware you need and have it installed before you know it. Whether it be setting up your internal home network, connecting devices to your network, or repairing existing issues, CompOnline has you covered. Hardware Installation, Repair, and Replacement Want to install a new hard drive? Replace a video card? Not a problem. CompOnline can get you the hardware you need and have it installed before you know it. is the process of salvaging data from damaged, failed, corrupted, or inaccessible secondary storage media when it cannot be accessed normally. Such as: DC Jack Repair, Screen Replacement, Spill Cleanup, Motherboard Repair, Keyboard Replacement and Many more. Liquid damage repair, Cracked glass repair, LCD/Digitizer replacement and Battery Replacement. Computers are a vital part of your life so when your computer screen freezes a lot of different scenarios start to play out in your mind and you quickly go into panic mode. Fear not, for Commack Computer Repair is here to resolve any issues you may have and give you peace of mind. It was in 1995 when the seed of a computer company was planted in the mind of an enterprising young man. He envisioned a place that provides repair, staffed with experts who can offer the best technical services for every computer user. In 2007 Commack Computer Repair a.k.a CompOnline was born in Suffolk County, NY and since then it has kept its promise of providing unmatched service. This family owned and operated local business has Natan Leht in the helm. They work with all brands, including Apple computers and the company specializes in motherboard diagnostic and repair. Commack Computer Repair maintains a team of dedicated professionals who have spent years honing their expertise. The knowledgeable and friendly staff led by Natan is always ready to provide the very best customer service. Aside from the finest onsite repair service, they consider your budget by giving you affordable rates to work with. MISSION: TO OFFER THE BEST, MOST AFFORDABLE COMPUTER SERVICE TO EVERY CUSTOMER. VISION: TO CONTINUE EXCEEDING THE EXPECTATIONS OF EVERY CUSTOMER FOR THE BEST SERVICE. Natan Leht is the owner and founder of CompOnline. Natan has been providing commack computer repair services to hundreds of customers in the Suffolk County, NY area since 2007. With his friendly disposition and a smile on his face, Natan is well-loved by his clients and neighbors. His knowledge and professionalism are what keeps his clients coming back. Natan diagnoses and repairs your computer issues quickly and accurately but at the same time, he will educate you on how to prevent future complications. This is how commack computer repair shines over its competitors. Natan’s goal is to get your computer back up and running, and to send you home with a smile on your face. Tanya Kaganovsky is Natan’s right hand at commack computer repair. Not only does she provide customer support and backend organization, but her knowledge and experience will ensure that any of your questions will be answered. Tanya takes just as much pride in the services of CompOnline as Natan, and you can rest assured that your experience will be excellent. Both Natan and Tanya do everything in their power to provide you with the finest commack computer repair service and support at an affordable rate. Their philosophy is to treat every PC and business solution as if it were their own problem. With a positive approach, they analyze the situation and consider a range of options to find the best solution. Using clear terms, they will give you an explanation of why these are the options they recommend, the costs associated with the service, and any parts or software expenses prior to commencing work. If they find that the computer or any part of the system is not worth repairing, they will tell you. They receive and look into all of your complaints about your Laptop, desktop, PC and Mac, Apple Computer, or Laptop LCD. You don’t always need to pay hundreds of dollars in repairs, so it’s always worth doing a diagnostic test to get more information on what is needed. Enjoy a wide array of services including their home and small office support which provides free in-store diagnostic. You only for the repair after you know what has to be repaired. CompOnLine is a small local business in your neighborhood that is committed to high level of expertise and professionalism. You can speak directly to a Commack, NY computer service technician about any issues regarding your Laptop, desktop, PC, Mac, Apple Computer, and/or Laptop LCD.